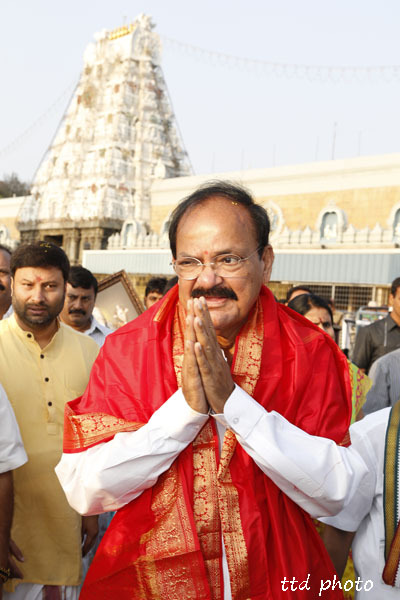 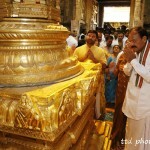 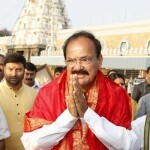 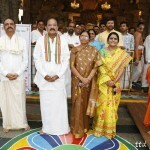 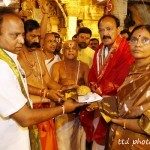 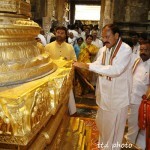 Tirumal, 31 May 2014: Hon’ble Minister of Urban Development, Minister of Housing and Urban Poverty Alleviation and Minister of Parliamentary Affairs Sri M.Venkaiah Naidu accompanied by family members offered prayers in the world renowned famous Hindu Shrine of Lord Venkateswara at Tirumala on Saturday, during his maiden visit after assuming the office. 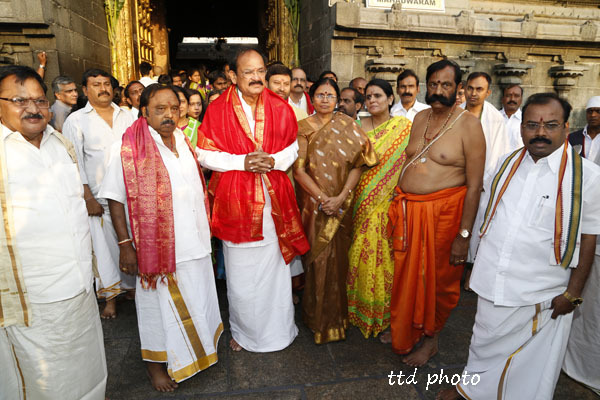 On his arrival, the Hon’ble Union Minister were accorded a grand reception by the TTD Chairman Sri K.Bapi Raju and JEO Sri KS Sreenivasa Raju and temple priests and escorted him to the sanctum sanctorum. 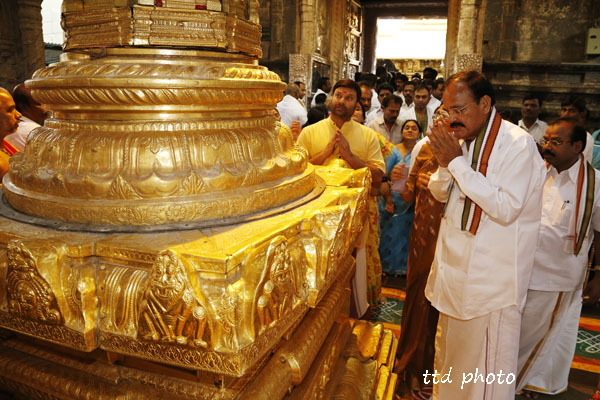 Inside the sanctum sanctorum, priests of Tirumala temple explained to the Hon’ble Union Minister about the significance of Lord and the jewels adorned to the presiding deity. 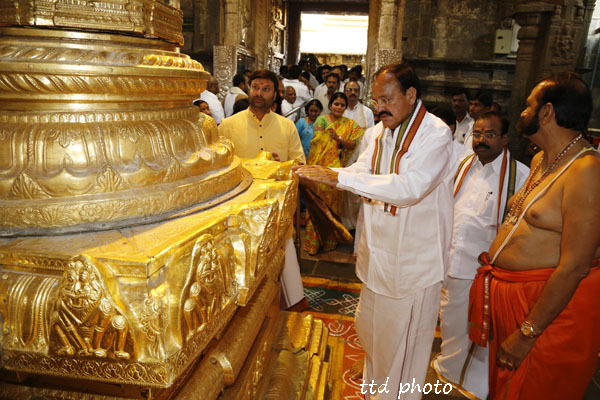 The Union Minister of the nation spent few minutes praying before the presiding deity of Lord Venkateswara and later reached Ranganayakula Mandapam where he was accorded Vedasirvachanam by temple priests. 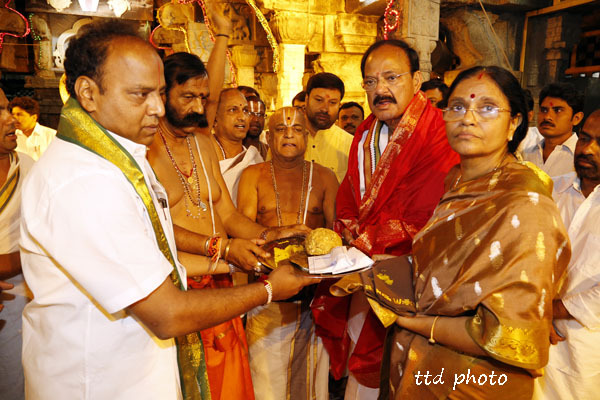 TTD Board Chairman offered the Minister, Lord’s silk vastram, prasadams while TTD JEO presented a lamination of Lord Venakteswara. 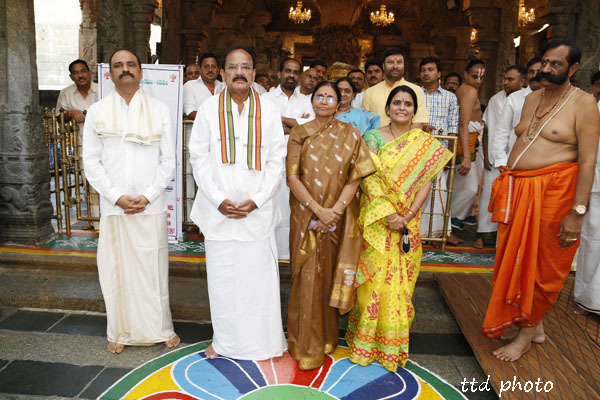 DyEOs Sri Chinnamagari Rama, Sri Venkataiah, MLA Sri Venkataramana, OSD Sri Damodar and others were present.